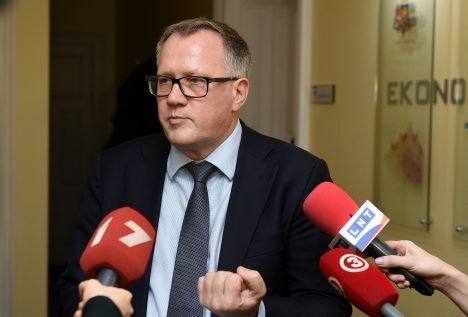 The ruling coalition in Latvia has reached an agreement in regards to reducing mandatory procurement component by diverting Latvenergo’s revenue for this purpose, says Latvia’s Economy Minister Arvils Ašeradens. Prime Minister Māris Kučinskis says that the government plans to discuss this matter after a week. As it is known, residents’ payments for MPC would decline by 13% if Latvenergo’s profits worth EUR 78.9 million are diverted for this purpose, the minister previously said. Changes are planned to be realized on 1 July, the minister predicts. Ašeradens said that MPC is a fundamental, national and macroeconomic mistake that need fixing. He intends to ask the government to form a work group that will develop an action plan for gradual cancellation of MPC. Formation of this work group will be a strong signal to all sides that «ice has started moving», said the politician.